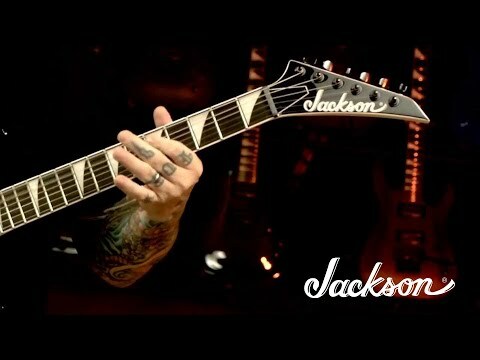 The Jackson JS Series Dinky JS32 DKA Guitar is a mighty little axe that packs a punch. Built to Jackson's customary high standards of quality, equipped with a solid tonal arsenal, and offering exceptional playability at such an affordable, it is clear to see why this model is such a firm favourite with so many guitarists. The JS Series JS32 is honoured with the diminuitive Dinky body profile, which features contoured deep double cutaways that ensure ready access to the upper frets. The gently bevelled edges of the body allow the guitar to rest snugly during performances, whilst the arch top design guarantees unimpeded access between the picking arm and the strings. The body is built from poplar, a tonewood noted for its powerful midrange energy. The lightweight feel of the poplar complements the delicate curves of the body to enhance its playability further. The finish ensures a no nonsense yet undeniably stylish visual aesthetic. The smooth and fast playing maple neck is fitted to the body using a solid bolt-on construction, which is further reinforced by graphite rods to ensure a solid and reliable feel. Paired with the neck is a bound 24 jumbo fret rosewood fingerboard, which guarantees seamless transitions between each fret along the entire length of the neck. Employing Jackson’s innovative compound radius fingerboard design, the rounded profile at the nut flattens towards the heel to create a natural playing position for the hand with regard to fretting chords and laying down lightning fast licks. The JS32 Dinky is equipped with a pair of high-output ceramic-magnet pickups, which produce blistering tones that are perfect for hard rock, metal, and fusion. If you like it loud, then you'll love these humbuckers. The neck offers fat and thick tones that are perfect for beefy rhythm chops and saturated solos, whilst the bridge offers a tighter response that is fantastic for laying down chunky palm-muted chords and high gain licks.